It’s rewarding work, but without help Dolly finds herself emotionally and physically drained. Dolly reached out and found that she could get services to help her. Like Dolly, millions of people in Australia care for others who need help with their everyday lives. A carer may be someone who looks after their husband or wife, partner, grandparent, uncle, aunty, cousin, child, grandchild or any other family member, a neighbour, a friend or someone in their community who needs help. Everyone’s situation is different. Some carers look after someone who is an older person or who is unwell or has difficulties getting around. Some carers may look after someone who has a disability, a mental illness or dementia, a chronic condition or a long-term illness or drug and alcohol problems. Many people looking after someone else don’t think of themselves as carers. They just see caring as what they do to help their families or friends or people in their communities. Carers need help too – someone they can talk to and find out about services that can help. Carer Gateway is a free, Australian Government funded service that provides information for carers and helps people get in touch with their local services. People can ring up and have a private chat or go online and find out about support in their area, free financial and legal help and what to do in emergencies. They can also get tips on how to look after themselves so they don’t get burnt out while caring for someone else. Carer Gateway has short videos about real-life carers in the community – showing how they cope and deal with problems – and how they make the most of the time they spend caring for someone in need. The videos include Dolly’s story. Dolly is a mother and full-time carer for her two adult daughters, who both need support with their everyday needs. “It’s pretty much 24/7 around the clock. Four years ago, I realised I was doing a care role and I was also a working mum so quite busy. I thought you know what, it’s time for me to step back and start looking after my own,” she said. There are free online resources to support Aboriginal carers, including a guided relaxation audio recording and information brochures and posters for use by health and community groups which can also be ordered from the Carer Gateway ordering form and a Carer Gateway Facebook page to keep up to date on services and supports for carers. Will the NDIS mean more or less support? Is the NDIS diagnosis based or needs based? Where is the NDIS available now? What supports does the NDIS cover? How does the NDIS process work? I have an NDIS plan. What’s next? When will the NDIS be here for all Australians? ” By any measure Aboriginal and Torres Strait Islander people with disabilities are some of the most disadvantaged Australians, often facing multiple barriers to their meaningful participation within their own communities and the wider community. The prevalence of disability amongst Aboriginal and Torres Strait Islanders is significantly higher than the general population. 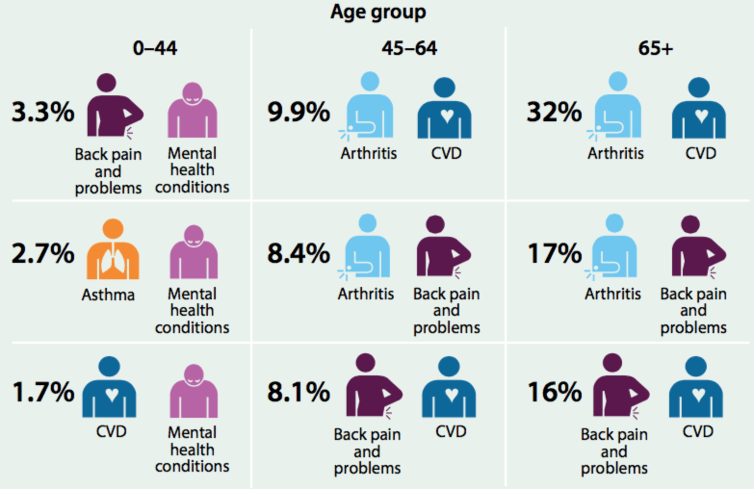 The Productivity Commission’s Overcoming Indigenous Disadvantage Report released mid- November 2014, highlighted that almost half of the Aboriginal and Torres Strait Islander population have some form of disability or long term health condition, twice the prevalence of disability experienced by other Australians. Damian Griffis is the CEO of the First Peoples Disability Network, an national organisation of and for Aboriginal and Torres Strait Islander people, families and communities with lived experience of disability. ” The National Disability Insurance Scheme (NDIS) is the most significant policy reform for people with a disability since the Disability Services Act 1986 (DSA). The NDIS has proven potential to enable people with disabilities to live good lives. The National Disability Insurance Agency (NDIA) reports that around 5% of NDIS participants are of Indigenous heritage. Dr John Gilroy is a Koori man from the Yuin Nation, and a doctor of sociology in Indigenous health, specialising in disability studies. The NDIS was launched in trial sites on 1 July 2013. The Scheme is being progressively rolled out over the next few years across Australia. In each State or Territory, the roll out will be staged to ensure the transition is as smooth as possible. Everyone who needs the NDIS will have access by 2020. The existing disability system throughout Australia is inefficient, fragmented, unfair, underfunded and leaves most people with disability without the support they need. Plus, people with disability and their families don’t get enough say in the type of supports they receive. The NDIS stands for the National Disability Insurance Scheme. It’s a new government policy that aims to transform the way Australia supports people with permanent and significant disability. It’s a universal system. The NDIS is a national program similar to Medicare. It will provide supports to all eligible Australians ensuring people with disability and their families get the support they need when they need it. It’s about more choice and control. The NDIS is based on the idea that people with disability and their families should be empowered to set their own goals and choose their own supports. This is achieved by giving them control over their own support budget. Under the existing disability system around 220,000 Australians receive funded disability supports. Under the NDIS approximately 460,000 people will receive funded supports, and the average support package will almost double from $18,000 to $35,000. The NDIS is about making sure you have the right support in the right place at the right time to help you participate in the community and economy. If your needs change over time, you can have your plan reviewed and level of support adjusted. You will have complete choice and control over what’s in your plan and who provides your supports so you can make the most of your package. Needs based. The NDIS does not have a list of conditions that automatically include or exclude you from support. It’s based on what you need to live a full life, and how much your disability affects your ability to carry out everyday activities. In the case of children, it’s about whether a disability is likely to be permanent or result in a developmental delay. This is a big change from the existing system where children without a diagnosis often miss out on funding or their parents are forced to lie about their disability to get support. enter the Scheme before you turn 65. If you’re unsure whether you meet the above criteria, a good yardstick is if you’re currently receiving funded support, you can expect to be eligible for the NDIS. For individuals who may benefit from early intervention, the eligibility criteria to access the NDIS is more flexible. Bankstown, Batemans Bay, Bega, Blacktown, Campbelltown, Charlestown, Chatswood, Gosford, Katoomba, Liverpool, Maitland, Moree, Newcastle, Parramatta, Penrith, Tamworth, Taree and Windsor. The types of supports you might get include therapies such as physiotherapy, mobility and technological aids and home modifications. And it’s not just about covering the ‘essentials’ – your plan could include things such as recreational activities, developing skills like shopping or cooking and help with finding a job. No two people are exactly the same, so neither are the supports in their plan. The NDIS is about you living the life you want – not just getting by. Step two is to start the planning process by talking to the NDIS or one of their representatives. The idea is to talk through your support needs and goals together and come up with the best ways that are reasonable and necessary to meet these goals. And you don’t have to do it alone – you can invite a family member or friend or support worker to come along too. Together with the planner you will develop a support package. Every Australian Counts tip: Think about your planning meeting as the chance to get the most out of your NDIS support package – the more time you spend preparing, the better your plan will be. So before your meeting, think about what you’ll need to live the life you want. It can also be helpful to chat to your family and carers about what’s missing in your current supports, activities and plans. At your NDIS planning meetings you will come up with how to put your plan into action. Most importantly, that means coming up with the supports and services you need to live your life to the full. This means that for the first time ever, you can decide exactly where your supports come from. This can be through the service providers you’re using now, finding completely new ones, or even self-managing your supports – it’s completely up to you! If you disagree with an NDIS assessment or are unhappy with your support package, you have the right to ask for a review from the NDIS. You also have the right to get an advocate, friend or independent representative to help you out in this process. Every Australian Counts tip: The NDIS was set up to give you the power to choose your own supports and service providers. You can do your own research or get help from advice and advocacy organisations. It can also be useful to talk to other people with disability, family members or carers about what works or doesn’t work for them. Remember, your plan is not a one-off decision. If or when your needs change, so can your plan. Ten ways the NDIS will benefit all Australians. It’s a national system. If you, or someone you love, is born with a disability or acquires one later in life, you all no longer run the risk of falling through holes in Australia’s safety net based on what state or territory you live in. People with a disability and their families and carers can participate in the social, economic, and cultural life of the nation with the supports and programs they choose. Families will be able to access support and services for assistance in meeting the needs of their family member with a disability, reducing physical, emotional and financial stress. The NDIS is based on equality. You will be able to equally access existing services regardless of when and where your disability was acquired. There will no longer be an expectation of unpaid care as the norm. As a Medicare-type system, the NDIS will provide people with a disability and their families and carers with the regular care, support, therapy and equipment they need from a secure and consistent pool of funds for these services and support. It focuses on early intervention and delivering supports which produce the best long term outcomes, maximising opportunities for independence, participation and productivity. Each NDIS plan is individualised and person-centred. Support is based on the choices of the person with a disability and their family. The NDIS is fiscally responsible. It is not welfare but an investment in individual capacity leading to more positive results for people with a disability, their families and carers. The Every Australian Counts website is an online hub for the disability community that’s packed with useful information, videos and news. 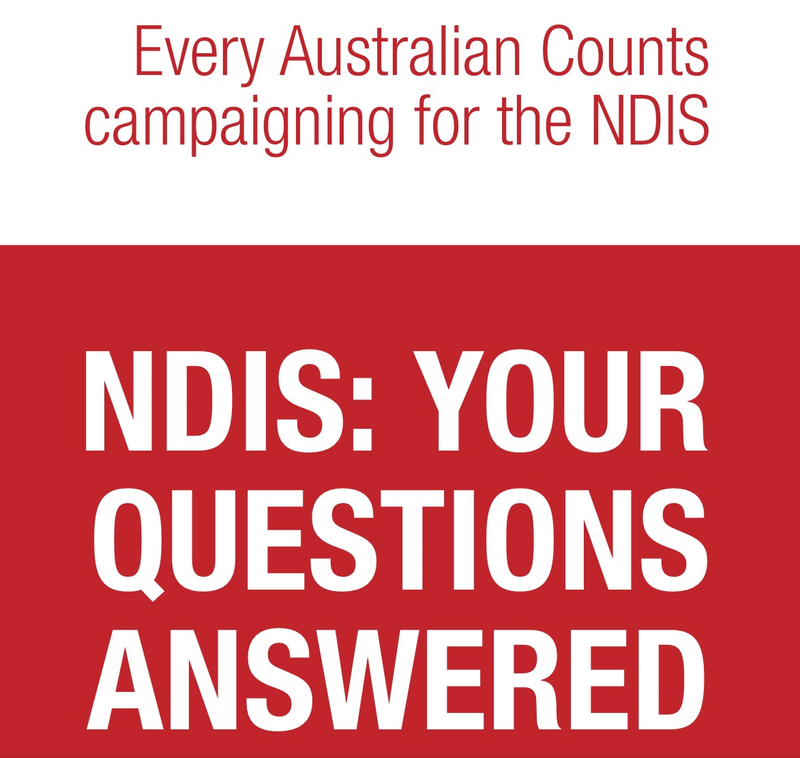 The official NDIS website includes an access checklist, factsheets and information to help prepare you for the NDIS. The Australian Federation of Disability Organisations (AFDO) represents people with disability. They can connect you with advocacy support. Carers Australia is the national peak body representing carers. Through their website you can access carer support and services. Research shows that Aboriginal community controlled organisations are an essential component of addressing the health and social needs of Indigenous communities. In a recent review of existing community-based mental health services, Jen Smith-Merry found that the services offered for Indigenous people were most successful when developed by local communities or ‘localised’ and adapted carefully (and genuinely) to community needs. John Gilroy’s research shows the important role of Indigenous community controlled organisations in forming relationships and referral pathways to disability services. These organisations function as the “social glue” between Indigenous communities, and disability and community organisations. NDIS must promote and support community-based programs to meet Indigenous people’s needs. The National Disability Insurance Scheme (NDIS) is the most significant policy reform for people with a disability since the Disability Services Act 1986 (DSA). The NDIS has proven potential to enable people with disabilities to live good lives. The NDIA has branded the new scheme as a way of expanding individual and family choice in the services and supports people with disabilities can access. As we have noted previously, individual ‘choice’ requires ‘opportunities’ to exist in local communities. The more remote or rural a community the fewer opportunities available. As such, limited ‘opportunities’ in communities lead to limited ‘choice’ for Indigenous people with disability on NDIS plans who live in rural or remote communities. The original inquiry into the NDIS identified the importance of a balance between an individualised support system and the block-funding of services and programs to ensure efficient and effective roll-out of the NDIS. The work that we have been involved in supports this view, arguing that Indigenous people should be able to utilise services at their own pace that meet their cultural and personal needs rather than being pushed through a government imposed time-frame. The government has released the policy framework for NDIS Information, Linkages and Capacity Building (ILC), and the subsequent Commissioning Framework. The ILC, formally Tier 2 of the NDIS, provides funding for the development of programs to help connect people with the disability, health and social supports, and services that are appropriate for them. It also supports capacity building for communities, organisations and individuals, that is not tied to a person’s individualised funding package. In doing this, it aims to also offer support for those who are not eligible for individualised funding packages. There is growing concern that services for the most disadvantaged of the population of people with disabilities may become under-resourced or absent in light of the NDIS roll-out. There is much evidence that this disadvantage is heightened by geographic location, such as very remote communities. The ILC has been designed to provide the opportunity for the needs of these groups to be better met, but only if there is a proactive prioritisation of their needs. Informed by several of our existing research and community projects, below we present some recommendations for the government, regarding the types of block-funded programs and services needed in local Indigenous communities to ensure that they benefit from the NDIS roll-out. We preface these recommendations with the observation that there is a big problem with the implementation of the ILC, as the funding has been severely curtailed in its first stages. Bruce Bonyhady, former chair of the NDIS, warns that the current funding for community inclusion programs is: “not sufficient and means that one of the key foundations on which the NDIS is being built is weak”. This funding gap needs to be addressed immediately as there will be significant benefit to indigenous communities if the funding targets appropriate areas. Disability services providers have reported that many Indigenous people engage in the formal services system only when the quality or quantity of family and kinship care is depleted. As such, a large proportion of Indigenous people engage in the disability services sector when in a crisis situation. Crisis services should be made more disability inclusive, and should act as a channel for encouraging the utilisation of appropriate individualised funding package supports. Targeted capacity building programs are also needed, to enable families and kinship groups to provide support. Such programs should be individualised and culturally and contextually appropriate. Block-funded models enable organisations that have established rapport with communities, to deliver such services in a culturally appropriate manner. While many Indigenous people only engage with services at times of crisis, the impact of the services provided during crises can be sustained as the crisis abates. The most effective way of doing this is by supporting individualised transition support services which help people to re-establish their lives. This could involve connecting people with appropriate individualised support packages or funding of ‘peer support’ or community buddy programs. Case Management and advocacy services. Some bureaucrats wrongly use the terms “case management” and “advocacy” synonymously. The major difference between these two service types is that formal advocates are called upon when a person feels that their human rights have been violated. In comparison, case managers are typically called upon to assist people to join up services and supports by navigating the complex bureaucracy of the formal service systems, including health and disability. It is pivotal to have a balance of these two service types under the NDIS to enable people with disabilities access to supports that foster the protection of their human rights and enable them to navigate the NDIS bureaucracy. There is limited research focused on the needs of Indigenous children with disability. A recent study found that young children with cognitive impairment are at risk of social exclusion, and need interventions to promote inclusion in family and cultural events as they age. The government has identified early childhood intervention (ECI) as an area for block-funding investment, in recognition that the market-based principles of the NDIS could not work for this service type. ILC block funding can be used for early intervention and allows novel or creative community-based solutions to develop. This will allow the development of services which may meet local needs but are not ‘standard’ service types. Evidence-based practice is great if the evidence is there, but it should not be a straight-jacket, limiting what is possible. The efficiency and effectiveness of the NDIS requires a healthy, vibrant workforce. There are many reports examining what the disability services workforce looks like. However, the roll out of the NDIS will completely reshape the workforce. National Disability Services are managing a workforce development fund to explore ways to build a workforce that can sustain the NDIS. NDS will need to explore ways to build the number and proportion of Indigenous people working in the sector and also explore successful ways to build a workforce that is culturally competent in supporting Indigenous people and their families. Research shows that over 10% of Indigenous people have provided unpaid assistance to a person with a disability. Agencies could pilot approaches to recruit and train family members that balance people’s human rights with individual duty-of-care in the context of the NDIS. There are many regions of Australia where the English is a second or third language. Notwithstanding that, there are many Indigenous peoples who require hearing or communication supports. Interpreter and translation services are under-resourced and in high need across the country. It would be discriminatory for NDIS users to have to use their packages to access these service types as this would deplete the funding available for other services in comparison with other NDIS participants. These services should instead be funded at a community level either through the ILC or a specialised program. There exists plethora of research showing the important role played by Indigenous community controlled organisations in the health and community services sector. Such organisations provide the opportunities needed to bring together Indigenous people with disability to have their voices heard as a collective. For example, the many NDIS specific gatherings around Australia have brought together Indigenous people with disability to share their stories and experiences. This knowledge should be valued and harnessed. One way that this could take place is through ILC funding of community-based peer-support programs. The roll out of the NDIS has enabled Indigenous community controlled organisations and services to continue working in local communities. Such organisations and services are being supported to provide services and supports under the NDIS in NSW. Block-funding will enable Aboriginal community controlled organisations to continue their role in representing their communities whilst supporting NDIS participants. Jen Smith-Merry’s Research to Action Guide produced for the Centre for Applied Disability Research showed that interagency forums do help with linking across organisations and sectors, but that this is most effective when it happens organically and collaboratively rather than being mandated. Through sharing stories and good practice, interagency forums help disparate actors to understand the different practices and knowledges operating in sectors outside of their own. There is evidence of a conflict at the interface of the formal service system and Indigenous communities in how disability is defined and conceptualised. A recent report concluded that many Indigenous people find the definition of disability to be stigmatising. Rather than trying to ascertain how Indigenous peoples define disability, the focus of scholarly exploration should be on ways to bridge the cultural interface in how disability is defined and embodied as a social construct. Great work has been undertaken by National Disability Services, to foster relationship building between the disability services sector and local Indigenous programs, by implementing the principles of interagency commissioning. Sadly, the government did not extend the funding for these networks to continue. This is a significant problem that won’t be immediately fixed by an underfunded ILC. The NDIS is a huge win for the disability rights movement. The new scheme provides an opportunity to address the equality and equity gaps between Indigenous and non-Indigenous people with disabilities. However, there needs to be a balance between block-funding and the individualised packages provided by the NDIS, so that the scheme can meet its full potential. The examples given here provide some ideas for how ILC funding might work, but only dialogue with consumers and communities will point us truly in the right direction. *Associate Professor Jennifer Smith-Merry’s research focuses on the implementation of policy in service settings, and consumer experiences of this. She is Mental Health Stream Lead at the Centre for Disability Research and Policy, The University of Sydney. By any measure Aboriginal and Torres Strait Islander people with disability are amongst some of the most disadvantaged Australians; often facing multiple barriers to meaningful participation within their own communities and the wider community. The advent of the National Disability Insurance Scheme (NDIS) presents an opportunity for Aboriginal and Torres Strait Islander people with disabilities to engage – many for the first time – with the disability service system in a substantive way. Currently, most Aboriginal and Torres Strait Islander people with disabilities remain at the periphery of the disability service system. This continues to occur for a range of reasons some of which are well established. However, one factor that remains little understood is the reluctance of Aboriginal and Torres Strait Islander people with disabilities to identify as people with disability. This preference to not identify presents a fundamental barrier for the successful implementation of the NDIS. The First Peoples Disability Network (Australia) (FPDN) argues that it has a central role in addressing not only this fundamental barrier but also in facilitating the roll out of the NDIS more broadly into Aboriginal and Torres Strait Islander communities. FPDN argues passionately that for positive change to happen in the lives of Aboriginal and Torres Strait Islander people with disability, the change must be driven by community itself. It cannot be imposed, implied, intervened or developed with well-meaning intention from an external service system that the vast majority of Aboriginal and Torres Strait Islander people with disabilities have little or no experience of in the first place. Throughout many communities across the country, Aboriginal and Torres Strait Islander people with disability are supported and accepted as members of their communities. However, many communities lack the resources to adequately support people with disability. Furthermore, the service system tends to operate from a ‘doing for’ as opposed to ‘doing with’ approach, which only further disenfranchises communities because they simply do not feel that they can self-direct their future. The NDIS does have the potential to address some of these concerns by giving Aboriginal and Torres Strait Islander people with disability the opportunity to self-direct their funding, for instance. The challenge in this area will be that many Aboriginal and Torres Strait Islander people with disability have had little or no experience in self-managing funds. It must be remembered that in many ways the social movement of Aboriginal and Torres Strait Islander people with disability is starting from an absolute baseline position. This is reflected, for example, by the fact that few Aboriginal and Torres Strait Islander people with disability have an understanding of the language of the disability service system. It is the view of FPDN that the application of the NDIS in Aboriginal and Torres Strait Islander communities will need to have a different look and approach to what is advocated for with regard the rest of the Australian population. It may be that the application of the NDIS in Aboriginal and Torres Strait Islander communities takes a longer process. But the FPDN argues that it is critical to get it right as it is the experience of many Aboriginal and Torres Strait Islander people that they are usually the first to be blamed when new programs are not taken up by Aboriginal and Torres Strait Islander people. FPDN has developed a 10-point plan for the implementation of the NDIS in Aboriginal and Torres Strait Islander people with disabilities. The development of this 10 point plan is based upon extensive consultation as well as drawing upon the decade long experience of the FPDN in advocating for the rights of Aboriginal and Torres Strait Islanders people with disabilities. The plan was launched in May 2013 at Parliament House, Canberra. Recognise that the starting point is the vast majority of Aboriginal people with disability do not self-identify as people with disability. This occurs for a range of reasons including the fact that in traditional languages there are no comparable words for disability. Also, many Aboriginal people with disability are reluctant to take on the label of disability; particularly when they already experience discrimination based on their Aboriginality. In many ways disability is a new conversation in many communities. In these instances the NDIS is starting from a baseline position. As a consequence change in this area is likely to happen on a different timeline to that of the mainstream NDIS. Awareness raising via a concerted outreach approach informing Aboriginal and Torres Strait Islander people with disability, their families and communities about their rights and entitlements, and informing Aboriginal and Torres Strait communities about the NDIS itself and how to work this new system effectively. There is no better way to raise awareness then by direct face-to-face consultation. Brochures and pamphlets will not be appropriate as this is a new conversation in many communities. 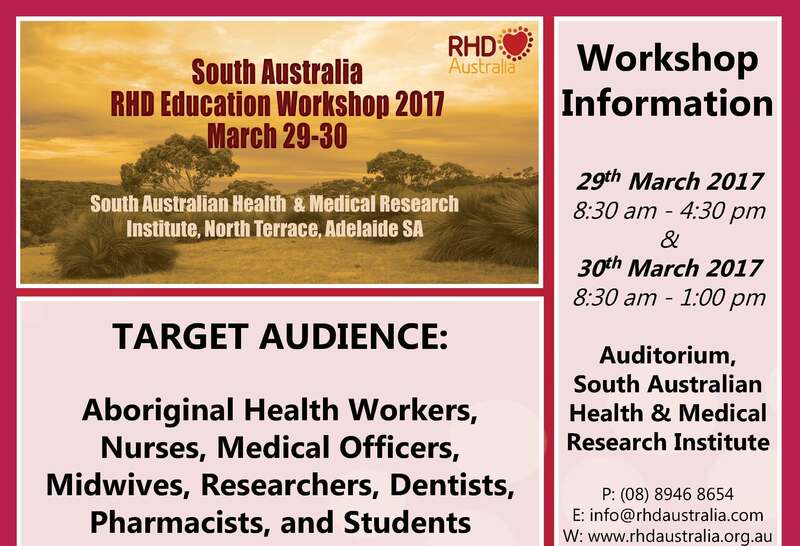 Establish the NDIS Expert Working Group on Aboriginal and Torres Strait Islander People with disability and the NDIS. 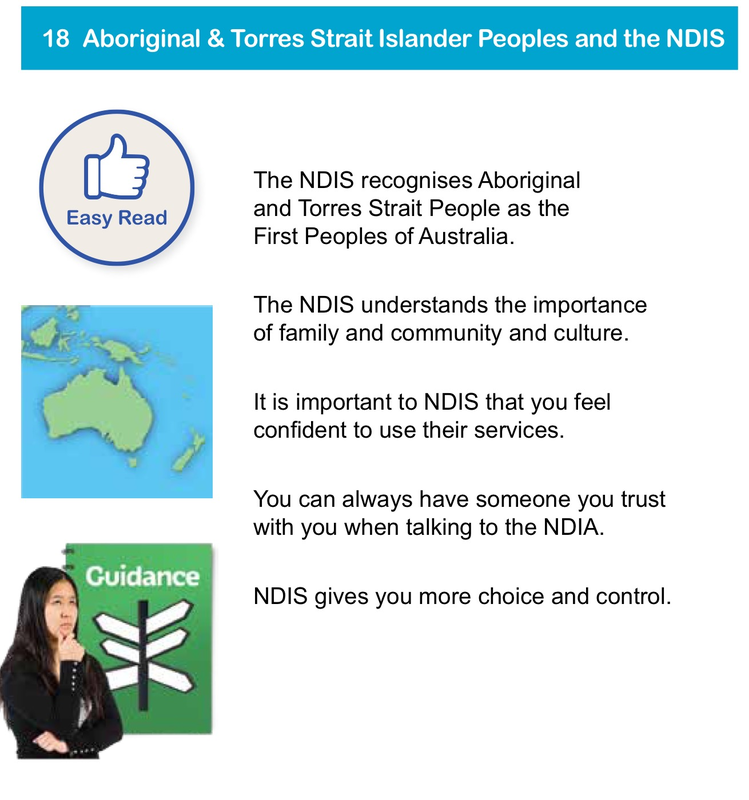 In recognition of the fact that there is a stand-alone building block for the NDIS focused upon Aboriginal and Torres Strait Islander people with disability, FPDN views it not only as critical but logical that a specific Expert Working Group be established to focus on Aboriginal and Torres Strait Islander people with disability. The new working group would operate in the same way the four current working groups do, that is it would be chaired by two members of the National People with Disability and Carers Council. To ensure its effectiveness but also critically to influence prominent Aboriginal leaders as well as the disability sector, members would be drawn from Aboriginal and Torres Strait Islander people in community leadership positions, as well as involving prominent disability leaders. 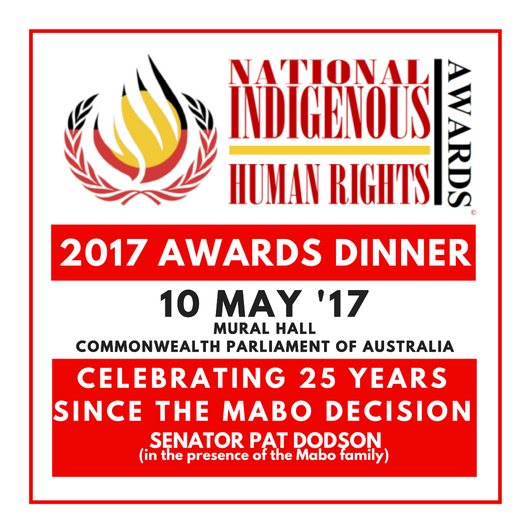 The FPDN believes such an approach is warranted not only because of the degree of unmet need that is well established but also because this has the potential to be a very practical and meaningful partnership between government, the non-government sector, and Aboriginal and Torres Strait Islander communities. Build the capacity of the non-Indigenous disability service system to meet the needs of Aboriginal people with disability in a culturally appropriate way. Legislate an additional standard into the Disability Services Act focused upon culturally appropriate service delivery and require disability services to demonstrate their cultural competencies. Conduct research on the prevalence of disability and a range other relevant matters. Critically, this work must be undertaken in partnership with Aboriginal and Torres Strait Islander people with disability to ensure a culturally appropriate methodology. There remains very little reference material about disability in Aboriginal and Torres Strait Islander communities. This needs to be rectified to ensure that we are getting a true picture of the lived experience of Aboriginal and Torres Strait Islander people with disability. Recognise that a workforce already exists in many Aboriginal and Torres Strait Islander communities that does important work, often informally. This work needs to valued and recognised, with the potential for employment opportunities in some communities. Recognise that it’s not always about services. Many communities just need more resources so that they can continue to meet the needs of their own people with disabilities. There may be perfectly appropriate ways of supporting people already in place, however what is often lacking is access to current technologies or appropriate technical aids or sufficient training for family and community members to provide the optimum level of support. Recruitment of more Aboriginal and Torres Strait Islander people into the disability service sector. Build the capacity of the social movement of Aboriginal and Torres Strait Islanders with disability by supporting existing networks and building new ones in addition to fostering Aboriginal and Torres Strait Islander leaders with disability. These networks play a critical role in breaking down stigma that may exist in some communities but are also the conduits for change, and will be integral to the successful implementation of the NDIS in Aboriginal and Torres Strait Islander communities. Aboriginal and Torres Strait Islander ‘Launch’ sites focused upon remote, very remote, regional and urban settings. It is critical that this major reform be done right. Therefore it is appropriate to effectively trial its implementation. To this end, FPDN can readily identify key communities that would be appropriate as trial sites. ” Merri’s story is not uncommon. Studies show that women with physical, sensory, intellectual, or psychosocial disabilities (mental health conditions) experience higher rates of domestic and sexual violence and abuse than other women. More than 70 per cent of women with disabilities in Australia have experienced sexual violence, and they are 40 per cent more likely to face domestic violence than other women. ” In-prison programs fail to address the disadvantage that many Aboriginal and Torres Strait Islander prisoners face, such as addiction, intergenerational and historical traumas, grief and loss. Programs have long waiting lists, and exclude those who spend many months on remand or serve short sentences – as Aboriginal and Torres Strait Islander people often do. Instead, evidence shows that prison worsens mental health and wellbeing, damages relationships and families, and generates stigma which reduces employment and housing opportunities . As the world celebrates International Women’s Day, this week I think of ‘Merri’, one of the most formidable and resilient women I have ever met. A 50-year-old Aboriginal woman with a mental health condition, Merri grew up in a remote community in the Kimberley region of Western Australia. When I met her, Merri was in pre-trial detention in an Australian prison. It was the first time she had been to prison and it was clear she was still reeling from trauma. But she was also defiant. 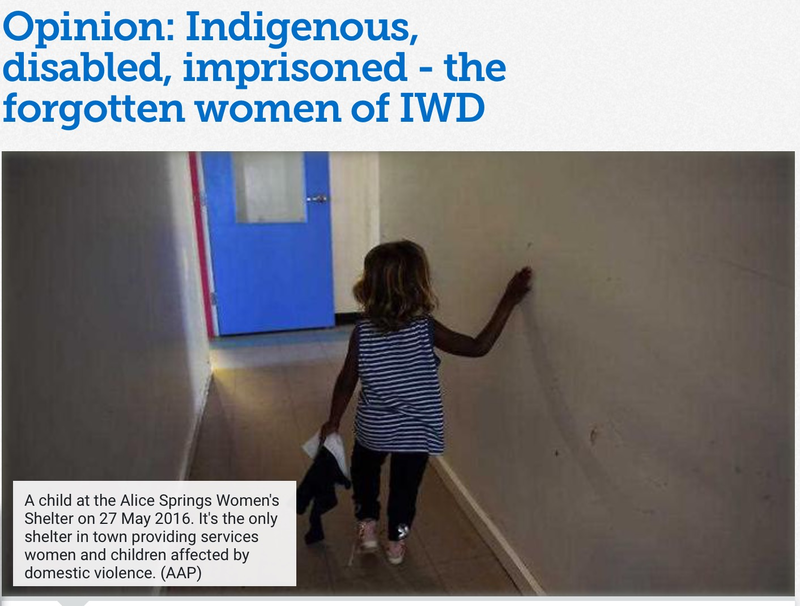 I recently traveled through Western Australia, visiting prisons, and I heard story after story of Indigenous women with disabilities whose lives had been cycles of abuse and imprisonment, without effective help. For many women who need help, support services are simply not available. They may be too far away, hard to find, or not culturally sensitive or accessible to women. The result is that Australia’s prisons are disproportionately full of Indigenous women with disabilities, who are also more likely to be incarcerated for minor offenses. For numerous women like Merri in many parts of the country, prisons have become a default accommodation and support option due to a dearth of appropriate community-based services. As with countless women with disabilities, Merri’s disability was not identified until she reached prison. She had not received any support services in the community. 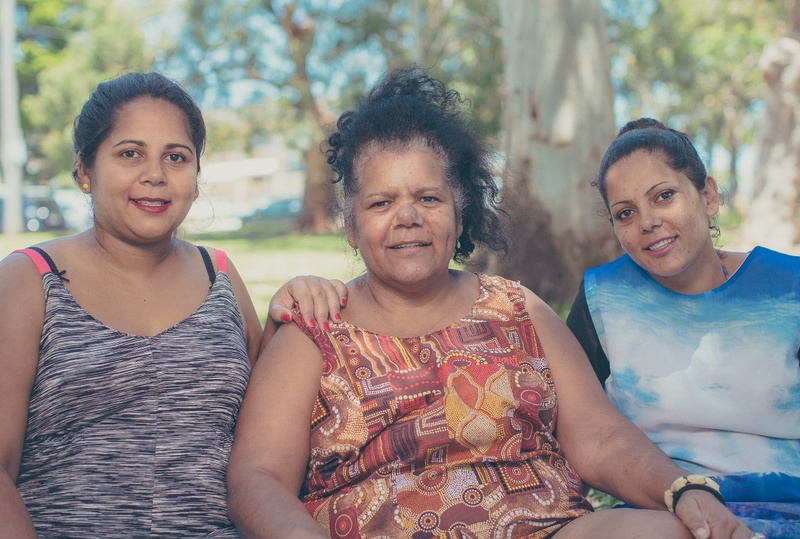 Merri has single-handedly raised her children as well as her grandchildren, but without any support or access to mental health services, life in the community has been a struggle for her. Today, on International Women’s Day, the Australian government should commit to making it a priority to meet the needs of women with disabilities who are at risk of violence and abuse. In 2015, a Senate inquiry into the abuse people with disabilities face in institutional and residential settings revealed the extensive and diverse forms of abuse they face both in institutions and the community. The inquiry recommended that the government set up a Royal Commission to conduct a more comprehensive investigation into the neglect, violence, and abuse faced by people with disabilities across Australia. The government has been unwilling to do so, citing the new National Disability Insurance Scheme (NDIS) Quality and Safeguard Framework as adequate. While the framework is an important step forward, it would only reach people who are enrolled under the NDIS. Its complaints mechanism would not provide a comprehensive look at the diversity and scale of the violence people with disabilities experience, let alone at the ways in which various intersecting forms of discrimination affect people with disabilities. The creation of a Royal Commission, on the other hand, could give voice to survivors of violence inside and outside the NDIS. It could direct a commission’s resources at a thorough investigation into the violence people with disabilities face in institutional and residential settings, as well as in the community. The government urgently needs to hear directly from women like Merri about the challenges they face, and how the government can do better at helping them. Whether or not there is a Royal Commission, the government should consult women with disabilities, including Indigenous women, and their representative organizations to learn how to strengthen support services. Government services that are gender and culturally appropriate, and accessible to women across the country, can curtail abuse and allow women with disabilities to live safe, independent lives in the community. • Download, read and share the 2nd edition – HERE. • Buy a hard copy from Gleebooks in Sydney (ask them to order more copies if they run out of stock). • Send copies of the book to politicians, policy makers and other opinion leaders. • Encourage journals and other relevant publications to review #JustJustice. • Encourage your local library to order a copy, whether the free e-version or a hard copy from Gleebooks. • Follow Guardian Australia’s project, Breaking the Cycle. 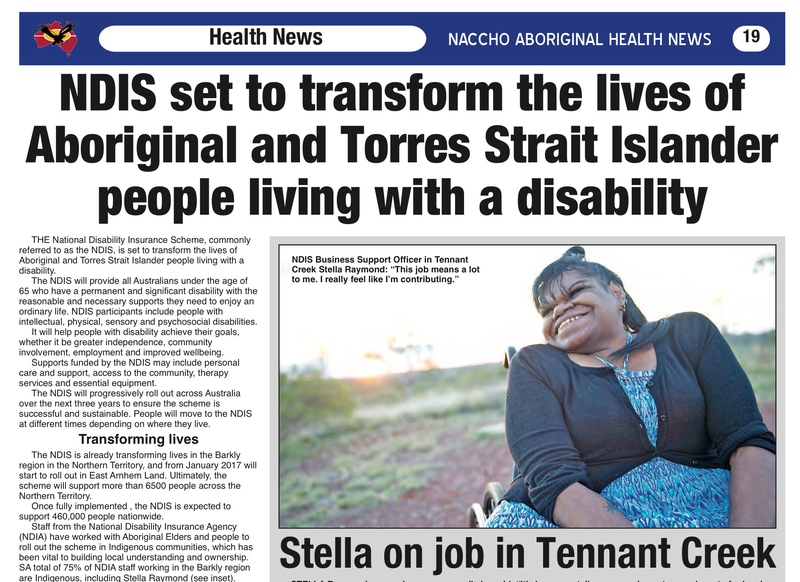 NACCHO Aboriginal Health Newspaper and NDIS : National Disability Insurance Scheme (NDIS) set to transform the lives of Aboriginal people living with a disability. “It’s great to be employed here because having a disability, I have a lot of knowledge to offer and I can be a strong advocate for locals because everyone knows me around here,” she said with a laugh. The National Disability Insurance Scheme, commonly referred to as the NDIS, is set to transform the lives of Aboriginal and Torres Strait Islander people living with a disability. The NDIS will provide all Australians under the age of 65 who have a permanent and significant disability with the reasonable and necessary supports they need to enjoy an ordinary life. NDIS participants include people with intellectual, physical, sensory and psychosocial disabilities. It will help people with disability achieve their goals; whether it be greater independence, community involvement, employment and improved wellbeing. Supports funded by the NDIS may include personal care and support, access to the community, therapy services and essential equipment. The NDIS will progressively roll out across Australia over the next three years to ensure the Scheme is successful and sustainable. People will move to the NDIS at different times depending on where they live. The NDIS is already transforming lives in the Barkly region in the Northern Territory, and from January 2017, will start to roll out in East Arnhem. Ultimately the Scheme will support more than 6,500 people across the Territory. Once fully implemented , the NDIS is expected to support 460,000 people nationwide. Staff from the National Disability Insurance Agency (NDIA) have worked with Aboriginal elders and community members to roll out the Scheme in Indigenous communities, which has been vital to building local understanding and ownership. Seventy five per cent of NDIA staff working in the Barkly region are Indigenous, including Stella Raymond. National Disability Insurance Agency Chief Executive Officer David Bowen, said that the Scheme was much-welcomed by people with disability, their families and carers. Stella Raymond, a proud Indigenous woman born and raised in Alice Springs, is the ‘face’ of the NDIS office in Tennant Creek. Known for her smiling and welcoming demeanour, Stella was one of the first NDIS participants in the Northern Territory and later got a job with the NDIA. “The NDIS has helped me out with my new wheelchair. It will have automatic wheels and it’s going to make it a lot easier to get around,” Stella said. “This job means a lot to me. I really feel like I’m contributing. ” The profoundly damaging consequences of heavy drinking by pregnant women, malnutrition in early childhood and intergenerational “psychic trauma” are neither properly diagnosed nor treated in Aborigines coming into contact with the law, a royal commission has heard. ” Most infants with FASD are irritable, have trouble eating and sleeping, are sensitive to sensory stimulation, and have a strong startle reflex. They may hyperextend their heads or limbs with hypertonia (too much muscle tone) or hypotonia (too little muscle tone) or both. Some infants may have heart defects or suffer anomalies of the ears, eyes, liver, or joints. “Many boys caught up in the Northern Territory’s juvenile justice system suffer a “disease of disadvantage” that has crippled almost every aspect of their lives, the Northern Territory’s royal commission into youth detention and protection has heard. Jody Barney, who works as a deaf indigenous community consultant, told the inquiry she has spoken to several young Aboriginal people with hearing impairments who have had their faces covered by spit hoods and bound behind bars. 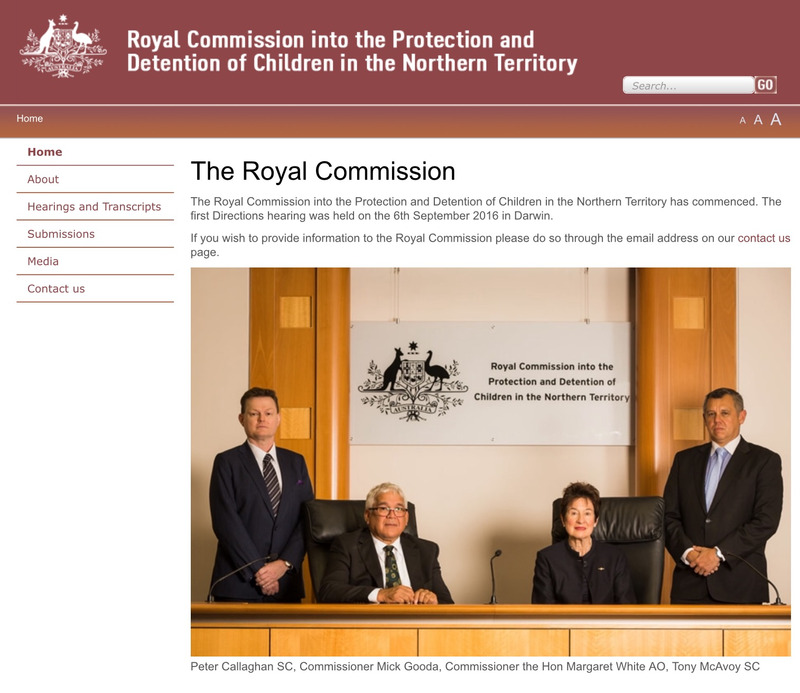 The Royal Commission website is available at https://www.childdetentionnt.royalcommission.gov.au. Moreover they were perpetuating, meaning the effects could be passed through neurological and genetic means from generation to generation, the Royal Commission into the Protection and Detention of Children in the NT heard today. The Commission looks likely to probe these effects more deeply, following depressing but insightful evidence given by University of Newcastle professor of pediatrics John Boulton, who clearly captured the commissioners’ interest. “I think the Foetal Alcohol Spectrum Disorder issue, together with the evidence that we have had this afternoon about deafness, throws such a complexion upon the participation of so many of these children in the criminal justice system, not to mention the child protection system, that we need to look at this carefully,” Commissioner Margaret White said. Professor Boulton told the Commission there was an urgent need for FAS-D and to be recognised under the National Disability Insurance Scheme. He said estimates in Canada of the lifelong cost of treating the condition reached into the millions of dollars. “If there are one or two per cent of the total population of whom a fraction are severely affected with FASD, and therefore suffer the huge mental health and other subsequent complications and disabilities with FASD, then we are talking about an enormous burden to the overall Australian community in the tens of millions of dollars,” he said. Studies linked FAS-D to a “profound level of social morbidity in terms of violence, engagement in the justice system, depression, suicidal thoughts, suicide, very low chance of meaningful occupation and a very high risk of being in prison as adults requiring mental institution and support with drug addiction” Professor Boulton continued. He likened FAS-D to the thalidomide disaster, heavy metal poisoning or radiation sickness. Professor Boulton said progress had been made through alcohol restrictions brought about in the Kimberley towns of Halls Creek and Fitzroy Crossing by local women. He said the restrictions had produced a “massive reduction in the amount of violence and of women seeking refuge”, and that there was evidence young children were growing better. Earlier in the day the Commission was told many Aboriginal youngsters from the remotest areas suffered hearing problems related to ear infections in early life. In one example retold before the Commission, a boy before court had been crash tackled by a guard who thought he was trying to escape, when in fact the boy simply hadn’t heard an instruction. Many boys caught up in the Northern Territory’s juvenile justice system suffer a “disease of disadvantage” that has crippled almost every aspect of their lives, the Northern Territory’s royal commission into youth detention and protection has heard. “Taking away another sense from a person who already has a limited sense is frightening. And that fear stays forever… long after their sentence,” she said. Psychologist Damien Howard told the inquiry a chronic housing shortage is creating an “epidemic” of hearing loss in indigenous children that leads to learning difficulties, family breakdown and criminal involvement. “It’s very much a disease of disadvantage,” Dr Howard told Darwin’s Supreme Court. Crowded housing overwhelms a child’s capacity to maintain hygiene, allows infections to pass quickly, and increases exposure to cigarette smoke and loud noises, while the poverty limits nutrition. 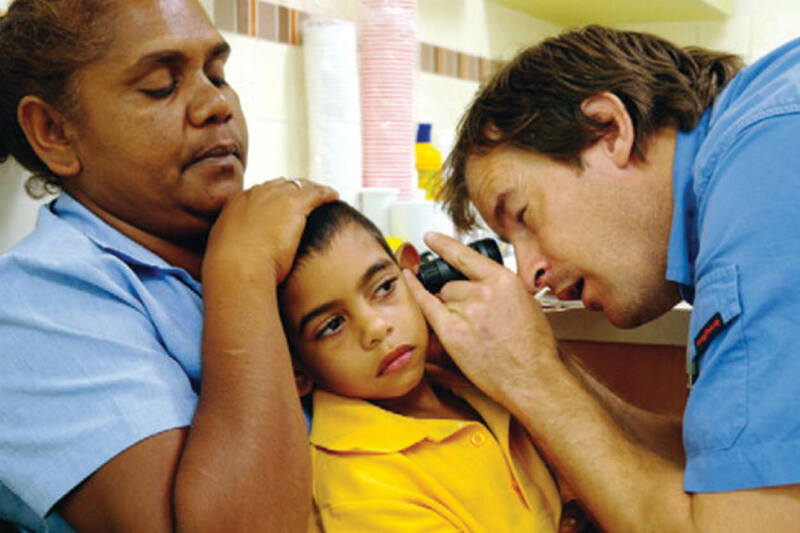 On average, non-Aboriginal kids experience middle ear disease for three months of their childhood while indigenous children can get fluctuating hearing loss for more than two years. This can result in a permanent condition, which Dr Howard says is a “smoking gun” leading to over-representation in the criminal justice system. Fetal Alcohol Spectrum Disorders (FASD) are 100% preventable. If a woman doesn’t drink alcohol while she is pregnant, her child cannot have FASD. There is a humanitarian crisis in the Fitzroy Valley region of remote North Western Australia, which has one of the highest Fetal Alcohol Spectrum Disorders (FASD) in the world. The effects of alcohol on the fetal brain are a common cause of intellectual impairment in developed countries. Problems that may occur in babies exposed to alcohol before birth include low birth weight, distinctive facial features, heart defects, behavioural problems and intellectual disability. Most infants with FASD are irritable, have trouble eating and sleeping, are sensitive to sensory stimulation, and have a strong startle reflex. They may hyperextend their heads or limbs with hypertonia (too much muscle tone) or hypotonia (too little muscle tone) or both. Some infants may have heart defects or suffer anomalies of the ears, eyes, liver, or joints. Adults with FASD have difficulty maintaining successful independence. They have trouble staying in school, keeping jobs, or sustaining healthy relationships. They require long-term support and some degree of supervision in order to succeed. Bright Blue is very proud to partner with Nindilingarri Cultural Health Services to support the development and implementation of a comprehensive, evidence-based prevention and community capacity building programme, which aims to make FASD history. Decrease costs associated with service provision, productivity, welfare and justice. Led by Aboriginal community leaders Maureen Carter and June Oscar; and Paediatrician Dr James Fitzpatrick, it is important that the leadership of the Marulu strategy reflects the community ownership of the process. Bright Blue needs your support to assist in prevention and capacity building, to develop an effective community – level support for women to abstain from drinking during pregnancy and child bearing years, so that all babies born in this community and across Australia have a full potential for a long and productive life. Become a part of history. Together, let’s make FASD history. The inquiry led by co-commissioners Margaret White and Mick Gooda continues. 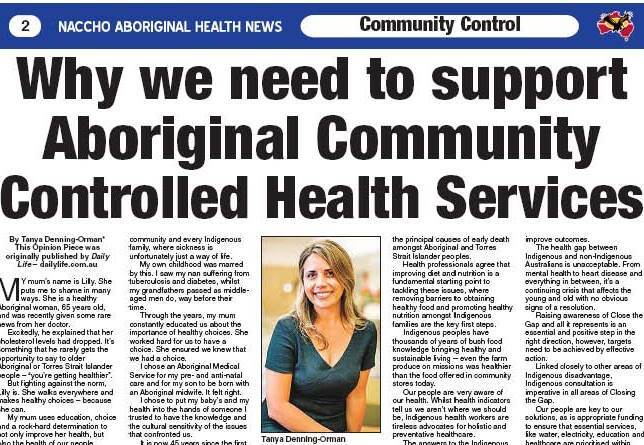 How you can share stories about Aboriginal Community Controlled Health issues ? We are now looking to all our members, programs and sector stakeholders for advertising, compelling articles, eye-catching images and commentary for inclusion in our next edition. 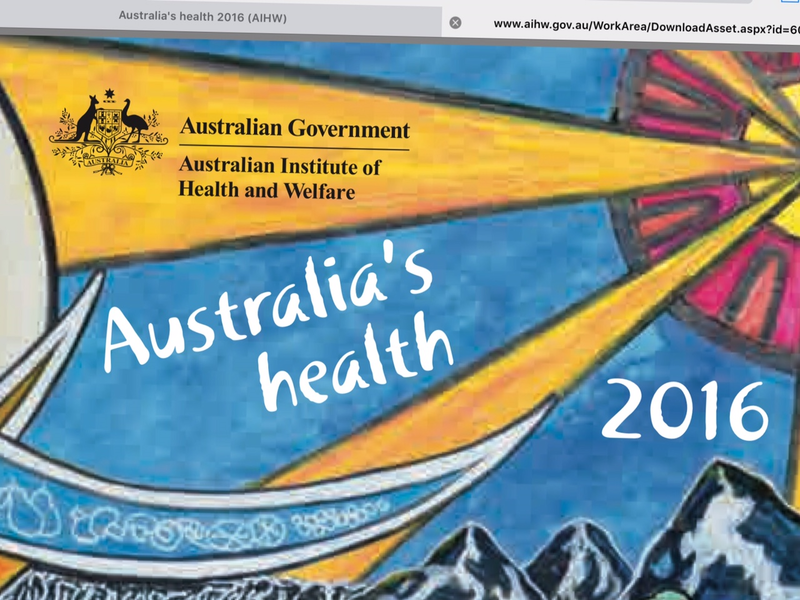 NACCHO Aboriginal health : #AIHW #AustraliasHealth2016 : What are the health experts saying about the report ? ” The report has also pointed out ongoing areas of health inequality in Australia, driven by socioeconomic factors and social determinants. 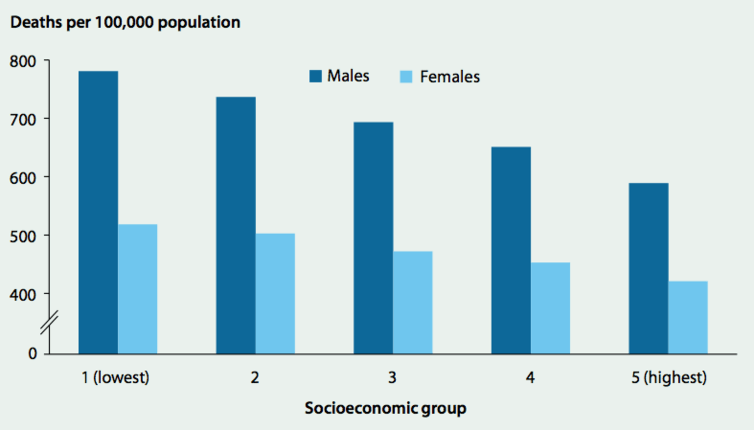 Communities suffering socioeconomic disadvantage continued to have systematically poorer health including lower life expectancy, higher rates of chronic disease and higher smoking rates. Aboriginal and Torres Strait Islander peoples recorded improved health indicators in some areas, including lower rates for smoking and infant mortality. However, the report found life expectancy was shorter by 10 years than for non-Indigenous Australians, and Aboriginal and Torres Strait Islander peoples continued to suffer higher rates of diseases such as diabetes, coronary heart disease and end-stage kidney disease. 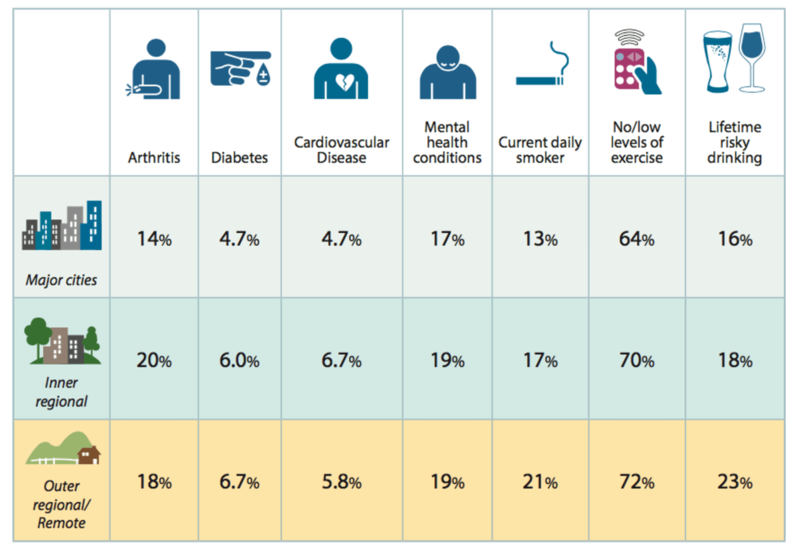 The impact of risk factors such as smoking, physical inactivity, poor nutrition and harmful alcohol use have been emphasised as significant contributors to Australia’s rising rates of chronic disease. The life expectancy gap between Indigenous and non-Indigenous Australians remains about one decade, according to new statistics. The latest report from the Australian Institute of Health and Welfare (AIHW) said that while health outcomes had improved for Aboriginal and Torres Strait Islander people, they still remain below those of non-Indigenous Australians. 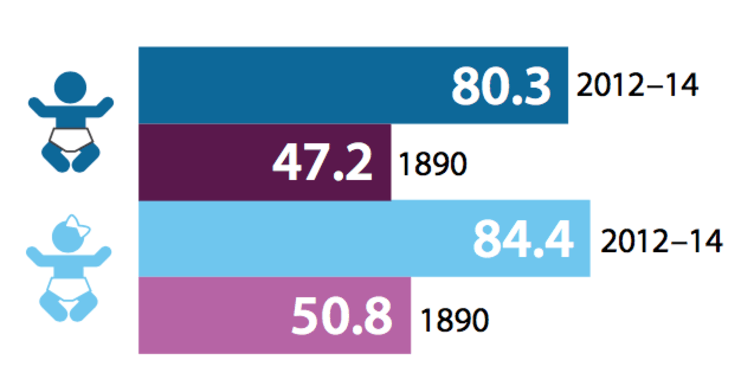 The biennial report, published today, shows Indigenous males born between 2010 and 2012 have a life expectancy of 69.1 years, a decade less than their non-Indigenous counterparts. The gap for women was slightly lower at 9.5 years. Between 2009 and 2013, 81 per cent of all Indigenous deaths were of people under 75. This is more than twice the rate of non-Indigenous Australians, which stands at 34 per cent. The latest statistics come 10 years after the establishment of the Closing the Gap campaign, which aims to end the disparity on life expectancies. Earlier this year, Prime Minister Malcolm Turnbull pledged that the Government would better engage with Indigenous people in “hope and optimism rather than entrenched despair”. While smoking rates have been falling nationally, they remain high among Indigenous Australians, with 44 per cent of Aboriginal and Torres Strait Islander people aged 15 and over describing themselves as a current smoker. The report states that 42 per cent smoke daily, 2.6 times the rate of their non-Indigenous counterparts. However, Indigenous Australians drink less alcohol than non-Indigenous counterparts — 26 per cent of Aboriginal and Torres Strait Islander people aged 15 and over had not consumed alcohol in past 12 months. This equates to a sobriety rate 1.6 times that of non-Indigenous Australians. Potentially avoidable deaths — categorised as deaths that could have been avoided given timely and effective health care — accounted for 61 per cent of deaths of Indigenous Australians aged up to 74 years between 2009 to 2013. This was 10 per cent more than their non-Indigenous counterparts. 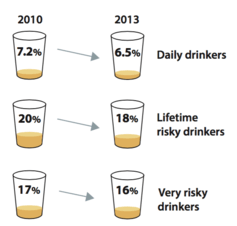 The volume of alcohol Australians consume fell from 10.8 litres per person in 2007–08 to 9.7 litres in 2013–14. This is the lowest level since 1962–63. But 16% of Australians are still drinking to very risky levels: consuming 11 or more standard drinks on one occasion in the past 12 months. ” Life on a remote Indigenous settlement in central Australia, surrounded by red dust and scorched country may be tough. But it’s even tougher if you’re sick, old or living with a disability. “Some people with disabilities who are in a wheelchair are pretty much living under their carport because they don’t even have enough support to put in a ramp [out the front of their house. I believes a cultural barrier between Indigenous communities and government systems is preventing people with disabilities living in remote Australia from getting the basic services they need. That’s because there’s no actual word for disability in most Indigenous languages so the notion of ‘disability’ and ‘disability services’ gets lost in translation. Tracy Barrell, former Paralympian and spokesperson of the First Peoples Disability Network. ” As my research has shown, the factors that impact on Indigenous people’s access to disability specific services are not just geographical. They also include the ways in which disability is conceptualised in Indigenous communities as well as lack of trust for mainstream services and lack of community connections. Many Indigenous people don’t engage with disability support programs because of the stigma associated with the mainstream definition of disability adopted by government and non-government agencies. On July 1 2016, the National Disability Insurance Scheme (NDIS) moved from a trial phase to a full national roll-out. In this series on Understanding the NDIS, we explore how the scheme works, why Australia needs it, and the issues to be addressed before eligible Australians can receive the benefits they are entitled to. The National Disability Insurance Scheme (NDIS) allows Australians with a disability to choose which agencies or people they wish to collaborate with to help achieve their goals. For Indigenous people, there are many positives to this scheme. It provides the opportunity to address the identified shortfalls of the former institutionalised service system, some of which uniquely impact Indigenous people. For instance, if an NDIS participant is not satisfied with a support worker or an agency, they can recruit a different person or withdraw their funding and transfer to another agency. This will enable Indigenous people to access those supports that are culturally appropriate for them and their needs. 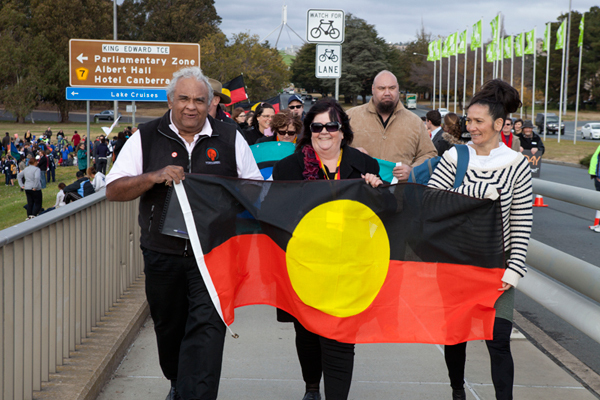 The growing Indigenous disability rights movement has fostered more involvement in the planning and development of the NDIS. But there is still a need to acknowledge those who feel their voices are not being heard by the government. I have previously expressed my frustration with the National Disability Insurance Agency (NDIA) – the agency responsible for overseeing the NDIS – for its lack of transparency on the NDIS rollout, with limited evidence that it is meeting the needs of Indigenous people. As of March 2016, nearly 30,000 people with disabilities were participating in NDIS trial sites, around 5% of them Indigenous. The latest National Aboriginal and Torres Strait Islander Social Survey reported that 45% of Indigenous Australians aged 15 years and over said they had experienced a disability, and nearly 8% needed assistance with core activities (such as self-care or mobility) some or all of the time. Added to this is the high rate of chronic health conditions that lead to physical impairments and disability, such as renal disease, middle ear diseases and glaucoma; as well as issues of low cognitive ability among many Indigenous children. While adequately estimating the NDIS eligibility rate in the Indigenous population is problematic, the 5% does not seem to be representative of the rates of disability in Indigenous communities. 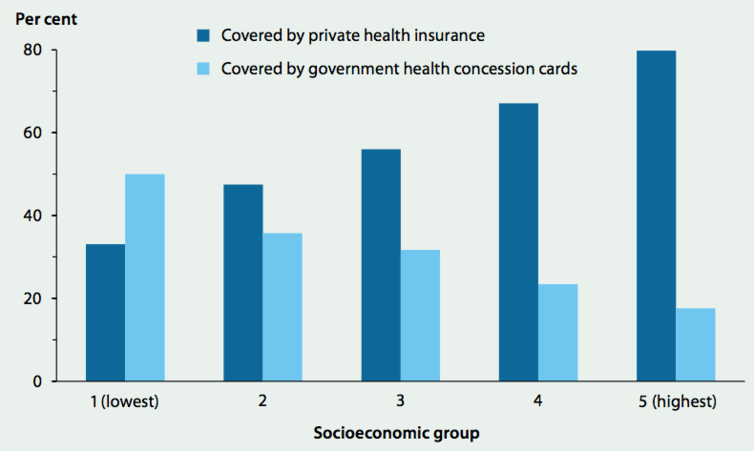 While the reasons for a lack of participation are many and complex, the underlying problem is access. A 2008 report showed that nearly half of Indigenous people with severe core activity limitations identified problems in accessing generic and specialist services. As my research has shown, the factors that impact on Indigenous people’s access to disability specific services are not just geographical. 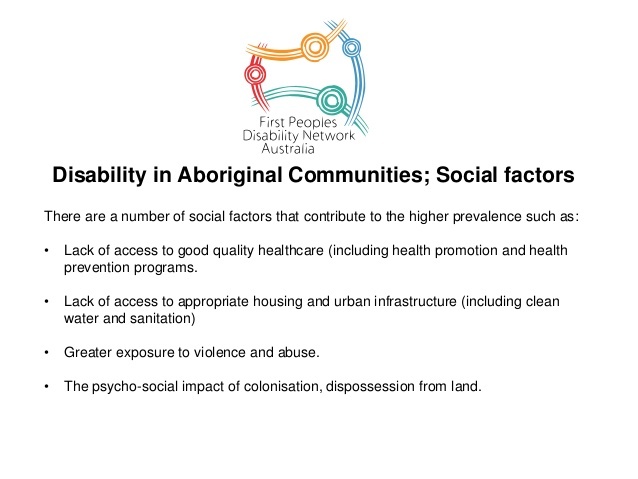 They also include the ways in which disability is conceptualised in Indigenous communities as well as lack of trust for mainstream services and lack of community connections. My research has also highlighted the fact that Indigenous people often focus on a person’s strengths, which is contrary to the clinical deficit model of disability adopted by the current service system. The state of disadvantage in Indigenous communities presents a range of problems that exist outside of the NDIS’s scope and objectives. There are many Indigenous communities where basic housing and utilities are either limited or absent. As such, many Indigenous people with disability have their energies focused on addressing the basics of day-to-day living. The NDIA has been promoting the NDIS model as one that expands personal choice when it comes to the services and support people with disabilities can access. Yet individual choice requires service and support opportunities to exist in local communities. Limited opportunities, especially in remote communities, equates to limited choice for those on NDIS plans. The costs to deliver supports and services to remote and very remote communities can be astronomical when compared with metropolitan regions. Research into remote service delivery conducted by the National Disability Services identified workforce shortages further inhibited service growth and development. 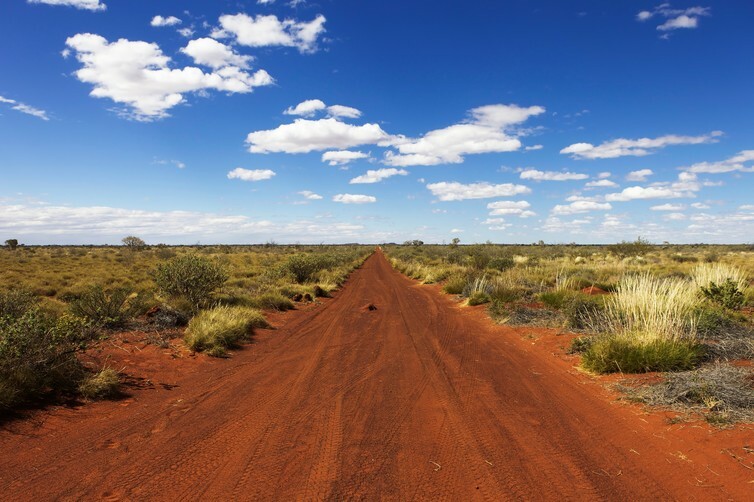 In remote regions, staff often have to travel hundreds of kilometres to deliver services to people. The distance between the regional centre of Alice Springs to another town in Central Australia, Tennant Creek, is 500km. 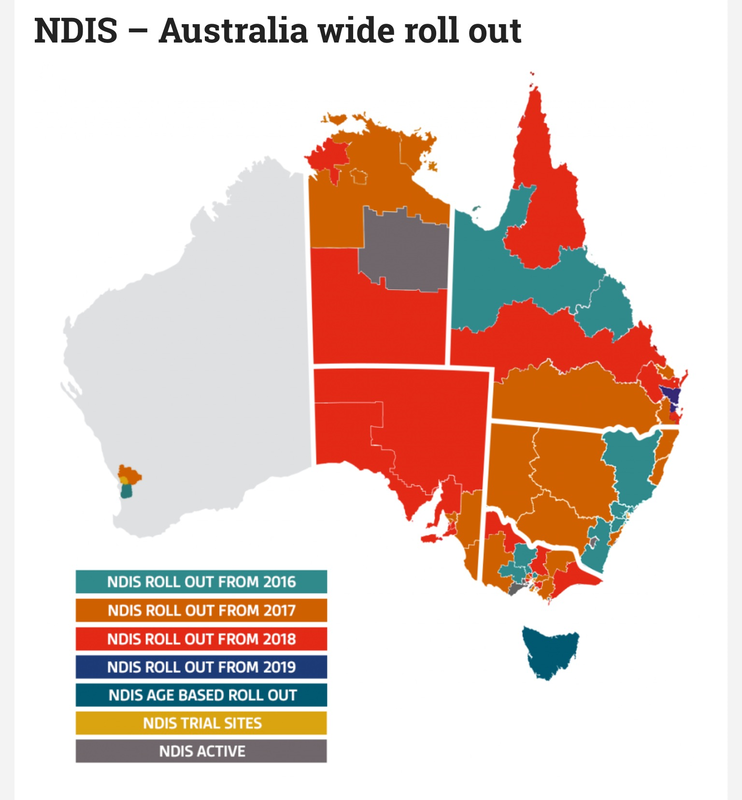 There is limited evidence to assess whether the NDIS can effectively and efficiently provide equitable opportunities for those living so far away from regional centres. Research shows more than 13% of Indigenous adults have provided unpaid assistance to people with a disability, such as relatives; the highest number of these are in very remote communities. Establishing a system that enables people to recruit family members needs more discussion throughout the scheme’s rollout. 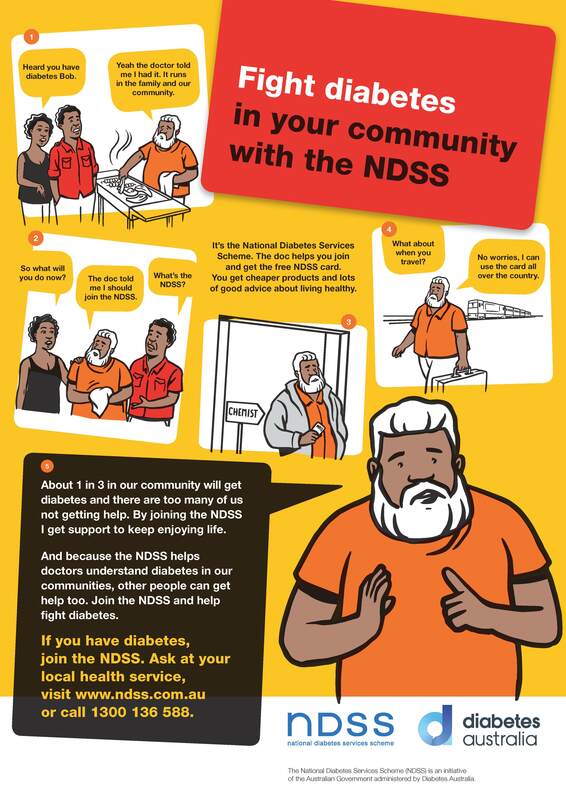 According to the First People’s Disability Network, the peak body representing Indigenous Australians with a disability, many Indigenous people need accessible support and training to self-manage their NDIS plans. If we consider the language diversity among Indigenous communities, options for training in managing personalised NDIS plans may be limited for those with English as a second or third language. Further, operating in a market-based system requires adequate access to information and skills in budgeting and book-keeping. Indigenous people who are socially isolated and don’t have either this information, or the skills or resources with which to seek help, may find these tasks difficult. The NDIA will need to further explore these challenges as they plan and implement culturally responsive training and support programs for those who wish to self-manage their packages. The principles of the World Health Organisation’s twin-track approach should be adopted in the roll-out of the NDIS. Broadly speaking, this approach aims to build specialist, targeted disability programs and supports for Indigenous people (such as Indigenous community controlled organisations) while simultaneously considering their needs in all generic policies, initiatives and programs. The NDIS provides us an opportunity to address the gaps between Indigenous and non-Indigenous people with disabilities. 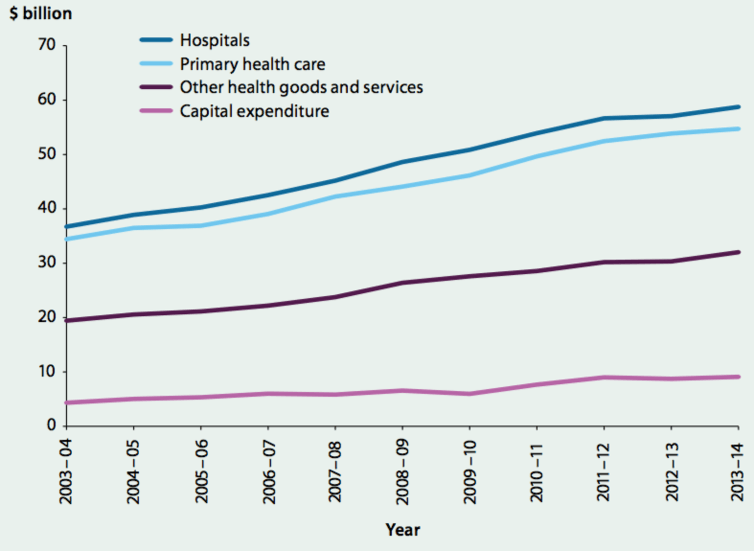 But this should run parallel to government spending on specialist services and community controlled organisations. You can read previous stories on groups likely to miss out under the NDIS, and the risk to support services for parents with newly diagnosed children with disability. What would your life be like if you lived in a remote community in central Australia? 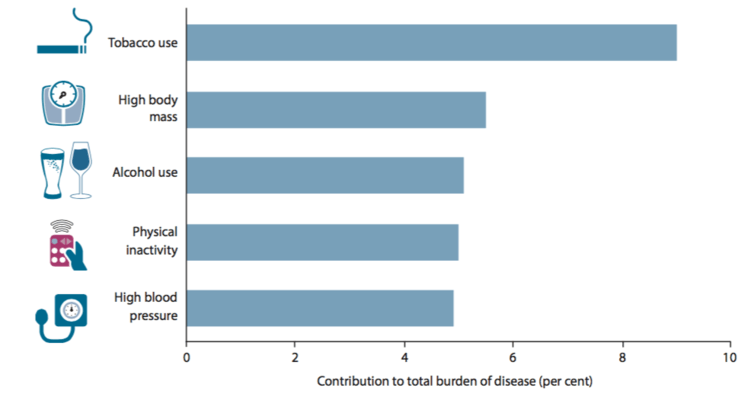 How would you fare if you developed a disability or chronic disease? Life on a remote Indigenous settlement in central Australia, surrounded by red dust and scorched country may be tough. But it’s even tougher if you’re sick, old or living with a disability. “Some people with disabilities who are in a wheelchair are pretty much living under their carport because they don’t even have enough support to put in a ramp [out the front of their house],” says Tracy Barrell, former Paralympian and spokesperson of the First Peoples Disability Network. Barrell believes a cultural barrier between Indigenous communities and government systems is preventing people with disabilities living in remote Australia from getting the basic services they need. That’s because there’s no actual word for disability in most Indigenous languages so the notion of ‘disability’ and ‘disability services’ gets lost in translation. “There are so many different types of disabilities and [many people in remote Indigenous communities] can’t differentiate between a brain injury or a mental illness because ‘that’s just Mary’. They don’t see disability and everyone helps to look after that person. Barrell is hopeful that the situation will change once the National Disability Insurance Scheme (NDIS) rolls out from this month and people start to get the services they request and need. Executive director of Waltja Tjutangku Palyapayi Aboriginal Corporation, Irene Nangala tells me that accessing seniors’ services in her home town of Kintore, situated around 530 kilometres west of Alice Springs, isn’t quite as desperate. 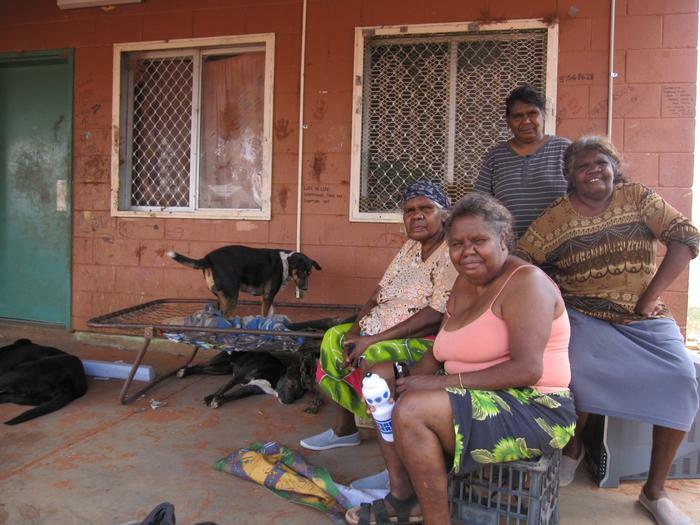 The remote location of Kintore (Walungurru) has its own health clinic and aged care workers help relatives to care for the elderly at home, in the community. But one real problem is that many of the aged care staff are ‘work for the dole’ volunteers: No pay means no income and the continuation of poverty, poor housing conditions and bad diets for many. It’s also important to recognise that ageing means something different in this community. The Australian Institute of Health and Welfare, ‘older’ Indigenous Australians are considered to be those aged 50 and over, not 65-plus, because of the life expectancy gap between Indigenous and non-Indigenous Australians. Kate Lawrence, Waltja Management Support Worker, explains that although some elders are aged well over 70 – who grew up on bush tucker – are fighting fit, many others aged around 50 are not in such good helath. “A lot of the older people are getting heart problems and they can’t do exercise and can’t stay healthy,” says Lawrence. “It’s really hard for people to afford to eat healthy food and no one’s got much money. Kidney disease is also quite common throughout the community of 400 Indigenous residents. 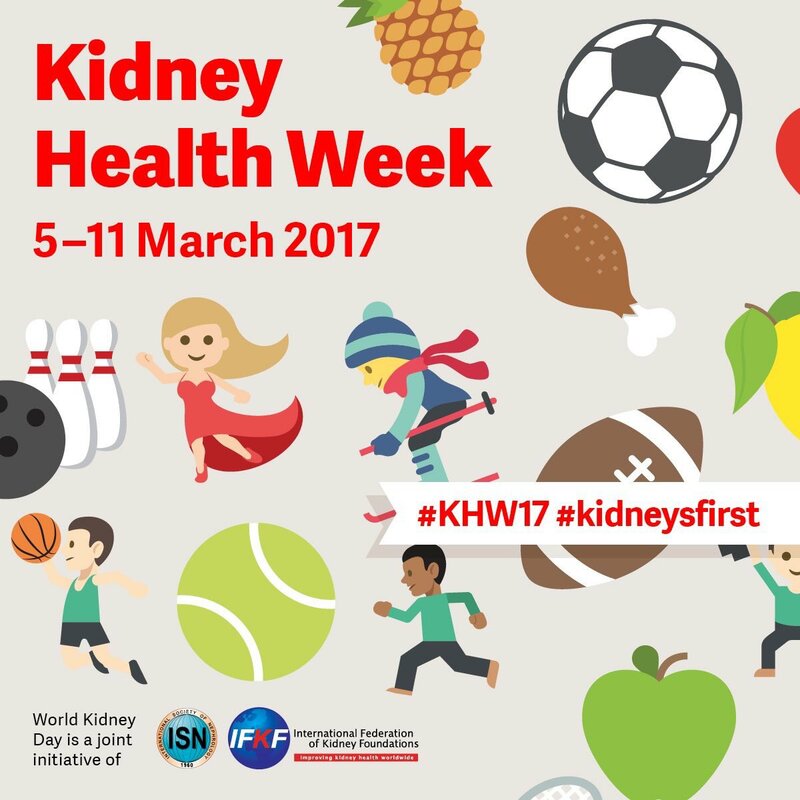 Kidney Health Australia states that the incidence of end stage kidney disease (ESKD) for Aboriginal and Torres Strait Islander people is 20 times higher for those living in remote and very remote areas of Australia, compared with non-Indigenous peoples. According to a report on the health of people from Kintore, the prevalence of ESKD in the town’s Pintupi Aboriginal group is 40 times higher than in the average Australian population. But with only four dialysis chairs available at the local health clinic, most renal patients have to live the majority of the year in Alice Springs in order to access life saving dialysis services. Nangala, aged 54, is one of Kintore’s many seniors forced to leave home to receive treatment. Diagnosed with kidney disease around four years ago, she requires dialysis three times a week. So she lives most of the year in a hostel in Alice Springs, at a subsidised cost, so she can receive the treatment she needs to stay alive and travels to Kintore every few months whenever a chair becomes available. Nangala adds that although it’s nice to be in the city and have time off from the duties of being a grandparent, she longs for home and misses feeling connected to community. “Sometimes I want to go back and see my family. The grandchildren, they worry for me when I am in Alice Springs. It’s lonely when family goes away. The community needs connectingIt was this hunt for ‘something better’ and a greater sense of connectedness that lead Nangala and the other Waltja Tjutangku Palyapayi directors to create a temporary solution. 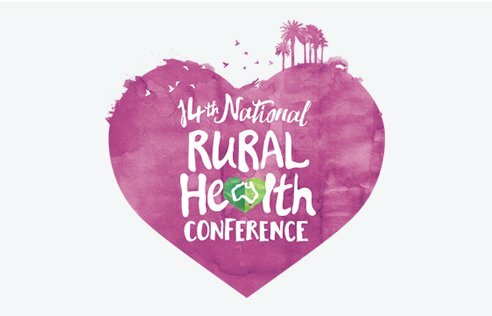 The Aboriginal organisation, governed by senior Aboriginal women from remote communities across central Australia, will run a four-day festival, for older people and those with disabilities this September, to reconnect Indigenous people who have been excluded from community because of poor health, age or disability. 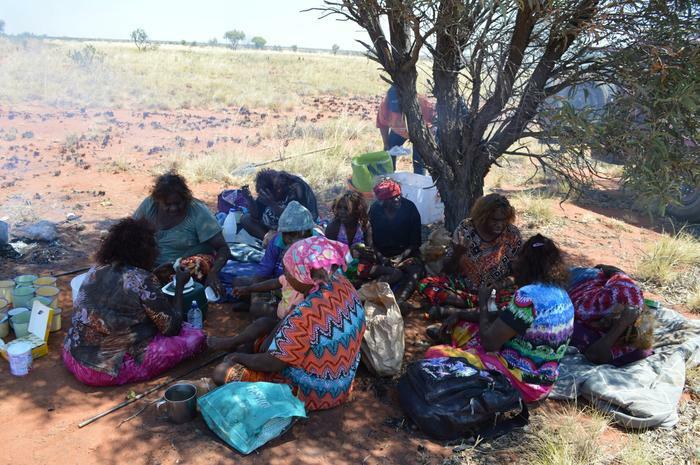 The idea is that around 200 seniors and Indigenous people with disabilities from central Australia’s most remote communities will be brought into participate in The Waltja Aged and Disability Festival, at a bushland camp east of Alice Springs. It’s the sixth time the corporation has held the festival since 1999, as it can only ever be run when the group has enough money to fund it. “[In past festivals], we’ve had lots of old people sleeping there and making fire,” she adds. “It was so lovely to see the old people. They were so happy together. “People come from many places, a long way away. We bring everyone in to have a celebration of those older people and people with disabilities. They normally don’t meet as they can’t travel across to community without help. 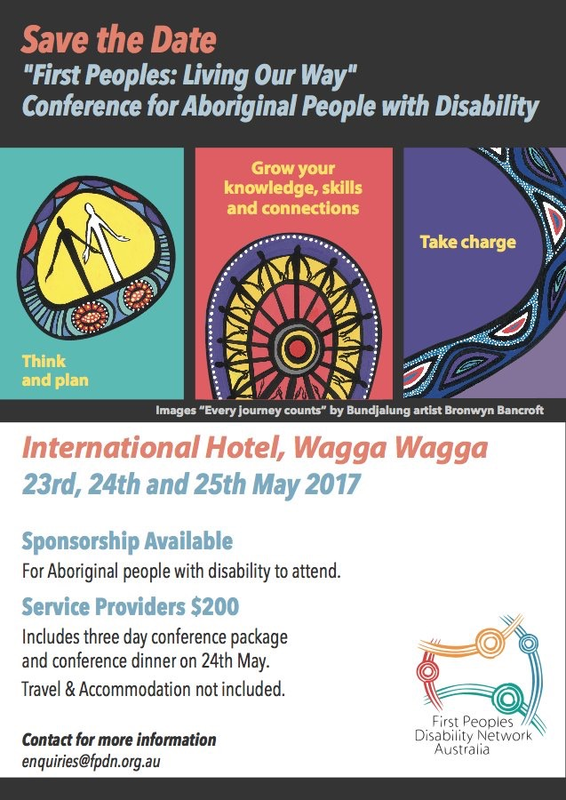 There’ll also be pampering and information sessions about NDIS services available to Indigenous communities like Kintore. Barrell, a proud Indigenous woman with a disability, says she’ll also be attending. “The festival will bring like-minded people together to have yarn ups and make connections that they’ve never made before,” says Barrell. “The way it’s been organised, you’ve got time. You don’t have to worry about your transport, home care coming or going or any of your daily struggles. 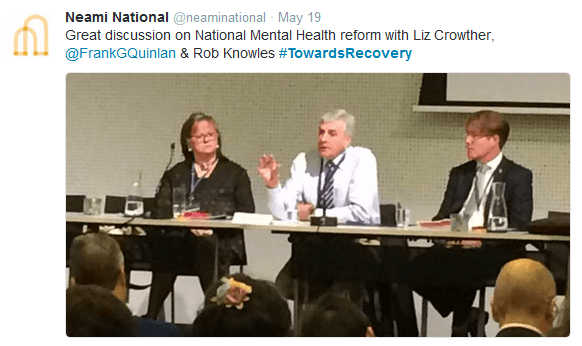 “The mental health sector is in the midst of “a perfect storm” of change, as one speaker put it during the recent VICSERV #TowardsRecovery conference in Melbourne. This comes as the sector grapples with how to offer people with mental illness not just choices but control over their lives. A delegate from an Aboriginal community controlled health organisation (ACCHO) raised issues for her sector, where Aboriginal communities are estimated to have twice the incidence of disability as non-Aboriginal communities but much less access to services, and agencies that are not specialists for disability support. “If you focus most of the effort on transitioning current supports (to the NDIS), that will continue to leave Aboriginal communities under-supported,” she told the NDIS panellists. She was told the NDIA had identified it needed to do a lot more work around Aboriginal disability, and would step up that engagement and transition work. Other culturally and linguistically diverse (CALD) communities will also get a bigger focus. 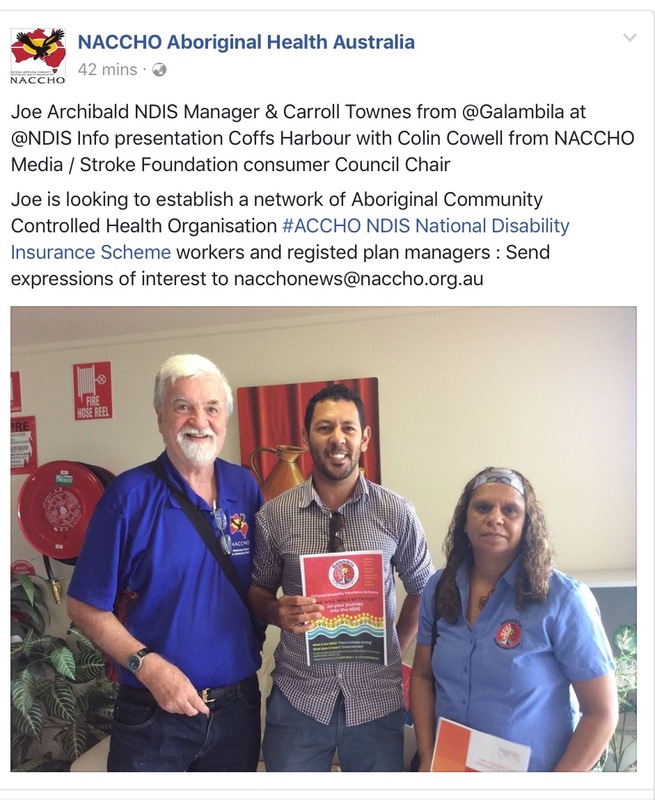 Another ACCHO representative voiced fears that if Aboriginal people with disability transitioned to other services under the NDIS, only to find they were not culturally safe for them, that the ACCHO workforce might not still be there for them to return to. While many of the major system changes underway, including the NDIS, are welcomed in the mental health sector, there is confusion over details and concern that many people with mental health issues could fall through new gaps in the system. Some at the conference said the upheaval rivals the days of deinstitutionalisation, particularly in Victoria which has just emerged from much criticised recommissioning of mental health services and where there is also uncertainty about what of its mental health community support funds will be committed to the NDIS. These concerns are only exacerbated by the uncertainty surrounding the policy outcomes likely to result from the July 2 federal election, and the marathon eight-week election campaign and caretaker period. Despite all the planning for the NDIS, which on 1 July begins its full national rollout after three years of trials, the fate of some programs such as the Personal Helpers and Mentors (PHaMs) program is still not known. (As a measure of ‘reform fatigue’, Victorian Alcohol and Drug Association CEO Sam Biondo told one session that when he started out in the 1970s, all he wanted was change; now all he wants is some stability). maintaining current overall levels of investment in mental health, with measures that support full reinvestment of cost efficiencies and savings. Mental Health Australia will produce a ‘report card’ to be released prior to the election, outlining the major parties’ response on these issues. Meanwhile, just a few days after the conference ended, one of its speakers, Professor Jane Burns, CEO of the Young and Well Cooperative Research Centre, joined other mental health leaders in releasing details on suicide across 28 Federal electorates, calling on party leaders and candidates to spell out what they intend to do to address the rising toll of suicide and self-harm across Australia. The mental health sector has welcomed the NDIS, saying a well funded and well run scheme will meet many needs. But the numbers provide the context for some of the concerns raised at the conference: it is estimated that each year in Australia, there are around 600,000 people who experience severe mental illness, and 300,000 who experience severe mental illness with “complex inter-agency needs”. By comparison, there are around 60,000 places in the NDIS for people with mental health issues. She said Victorian community managed mental health services were “desperate for more information” about the NDIS. But the State Government has an equal role to play, she said, pointing out that the bilateral agreement makes clear that the introduction of the NDIS is a shared responsibility between the States and the Commonwealth. “Both need to step up and provide information,” she said. VICSERV has played a lead role in documenting the Victorian trial of the NDIS in the Barwon area, but is waiting to hear back on how its concerns will be addressed. The NDIS is not a bad thing (for mental health). The trouble is that the funding for the existing services is being transferred to the NDIS and that it is still very uncertain if the NDIS will offer a similar range of services. Delegates at one conference session peppered a panel that included senior managers in the National Disability Insurance Agency (NDIA) about many details of the NDIS’s likely operation. A delegate told the panel it had been great to have different trials conducted across Australia over the past three years but their different reports on different experiences have created “confusion and misinterpretation…trying to compare apples with oranges”. Others expressed continuing concern about how people with episodic mental health issues would be included in a Scheme designed around permanent disability. The session followed a keynote by UK philosopher Dr Simon Duffy raising issues such as citizenship and the need to focus on community rather than institutional and organisational interests. By contrast, the language of the NDIS discussions was all around markets, market failures, entrants and competition. In an aside to me, one delegate questioned whether there is a “market” in people with mental illness. Asked at another session whether there really was a “fair dinkum market’” for organisations to start competing in, National Mental Health Commissioner Rob Knowles said there wasn’t yet. But he warned that one would develop as it has in other countries, and he was not sure people in the sector understood the significance of the changes that will occur. When the UK went down this road, about 80 per cent of existing services were provided by not for profit organisations, the remainder by private providers. That was soon reversed, he said. A mistake many not-for-profits made was to think “people stick with us”. Knowles said: “People are much more fickle than that. I think there are significant challenges for those operating in this: how they make themselves be a service provider of choice”. 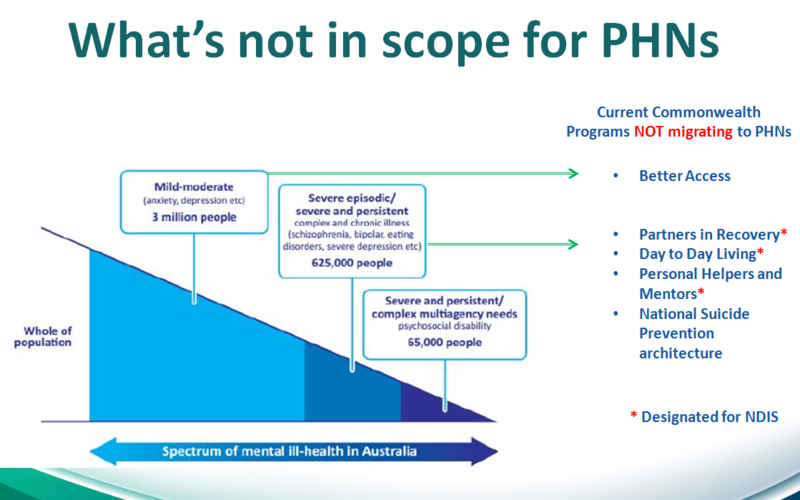 What will PHNs offer mental health? Another panel session focused on the news, announced last year, that funds will be reallocated from Canberra to primary health networks (PHNs) to commission — but not deliver — mental health services. Again, the sector has welcomed the move, particularly as a bridge between States and Commonwealth, but with concerns about how it all might work in practice. The aim of the PHNs, to make sure they get local services on the ground where they are needed, was very welcome, Quinlan said. The concern is how to maintain national standards. The PHN session involved panelists Jason Trethowan – Chief Executive, Western Victoria PHN, Lyn Morgain – Chief Executive, cohealth, and Christopher Carter – Chief Executive, North Western Melbourne PHN. They outlined what PHNs would cover, and what they wouldn’t. How will planning be undertaken that ensures the range of demographic, clinical, aged related, cultural, socio-economic and comorbidity of people is properly planned for? How will the flexible funding pool work – be prioritised – is it flexible for service models of care? How will PHNs work with the State system, and with each other to ensure continuity – especially given the transient nature of some consumers? What does this mean for existing youth primary mental health services? Youth with severe mental health? 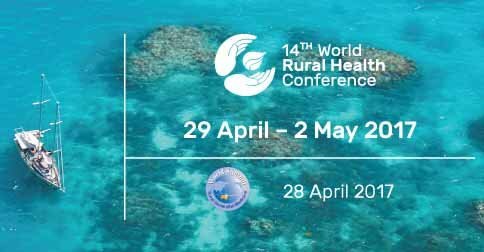 How will we ensure that services for Aboriginal and Torres Strait Islander people recognise the social determinants of health and cultural safety? What are the potential approaches to reduce fragmentation (suicide prevention)? What are the commissioning challenges and opportunities for rural communities? There will likely be a gap with the move of specialist recovery based community mental health support services to the NDIS. 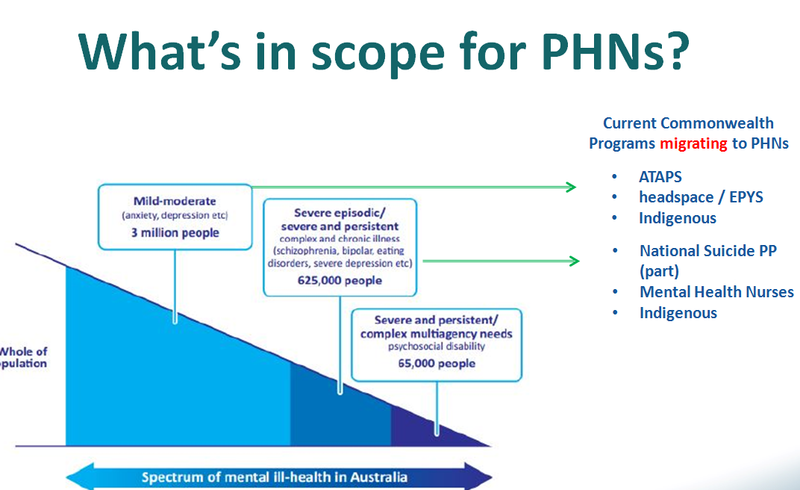 Will PHN’s be able to fund recovery based CMH or will as suggested PHNs be limited to commissioning only “clinical primary MH” as has been suggested in some of the guidance documents? Croakey later asked panellist Chris Carter for his reflections on the session. Q: What were the main messages you wanted to get across during the session on the role of PHNs within the context of national mental health reforms? That the role of PHNs is developing – in the first phase this will be about development of a stepped care model that reflects regional needs, and is focussed around safe, quality mental health care. There will be a number of stages and phases in the evolution of an integrated system given the high level of fragmentation in the healthcare system. Q: What key concerns emerged from the session? What’s your response to them? Not really concerns, but a genuine desire to participate in the conversation about reform – how PHNs will take into account the diversity of populations, families and individuals when considering future planning and investments in the mental health system. Q: The Federal Opposition said recently: “The PHNs, as the critical commissioners under the new reform agenda, are stuck in an unenviable position, wedged between the enormous pressure to deliver the reforms with unreasonable demands and an information vacuum from the Department of Health and at the same time trying to manage an increasingly agitated mental health sector hungry for information and advice.” What’s your response to that? Our role as PHNs is to help facilitate as much information sharing and participation in planning processes as is possible. Some of the tension lies between acute and primary systems, as well as State and Commonwealth systems. At a regional level, our job is to bring local intelligence / evidence and wisdom to try and meet the needs of consumers / citizens, whilst bringing along the sector – which we acknowledge is reform / change fatigued in Victoria. Q: What do you want to see promised for mental health in the federal election? Has the campaign put major work on hold? What certainty is needed now? I support Mental Health Australia’s call for a long-term strategy for mental health – and would add that we need to integrate State and Commonwealth responses at a regional level in order to target diverse populations and diverse needs. The election campaign has not put our work on hold – we are on track to implement continuing and new arrangements ready for July 1 and beyond in partnership with stakeholders. Another big theme at the conference was given a sharp focus by keynote speaker Simon Duffy – that the idea of ‘choice’ is not enough for people with disabilty. Rather, he said, control is what’s vital. (See also Duffy’s views about the NDIS in this earlier Croakey story and in this interview on Radio National’s Life Matters). In a similar vein, RMIT Associate Professor Paul Ramcharan told delegates about the It’s My Choice toolkit (DVD, discussion guide and booklets) developed with Inclusion Melbourne, a day service that supports people with intellectual disability. The project sought to inform people with disabilities, family, friends and others as well as service personnel about how to explore choices within complex lives and relationships. .
“Of the nine principles of choice (identified), one in particular challenges us to rethink the notion of choice. 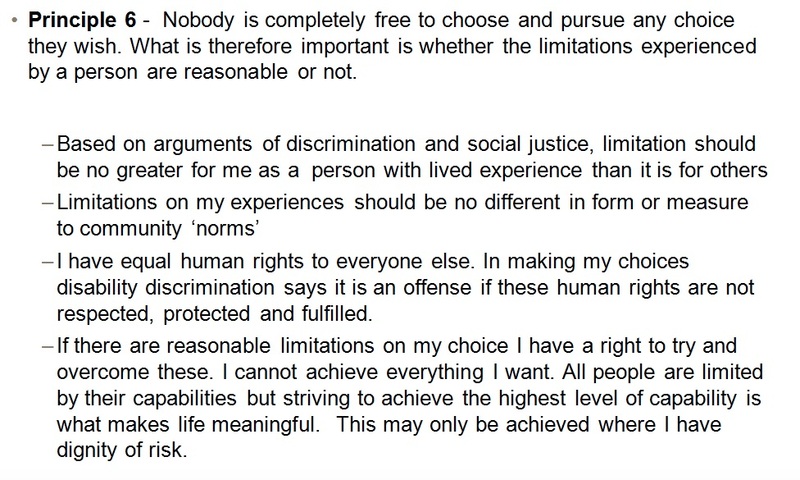 In this principle, the important question is not whether people with disability have choice – given that no one really has a total choice in what happens in their lives and that choices are made within a complex of relationships, services and environments. The question should be whether the limitations placed on their choices are reasonable or not. Organisations delivering services should be looking at discrimination and community norms and other barriers that get in the way of people expressing their choices not just about mundane matters like what to eat and wear (though important) but pervasive areas relating to health, education, work, family and intimacy. (Note: this quote above was added to the original published story to give more context about the project). 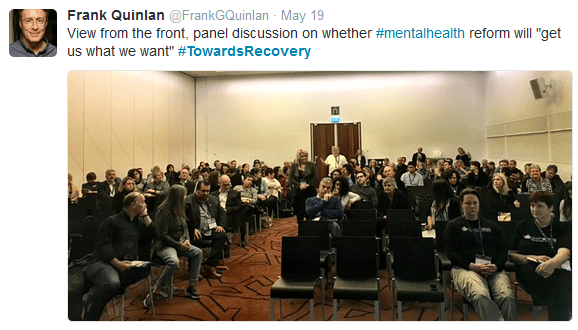 • Marie McInerney is covering the #TowardsRecovery conference for the Croakey Conference News Service. Bookmark this link to track the coverage. 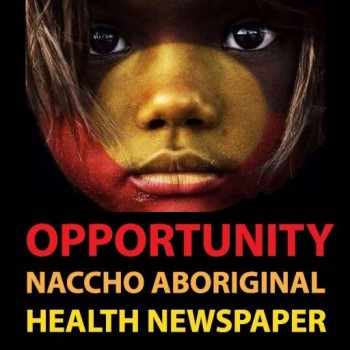 Response to our NACCHO Aboriginal Health Newspaper from our members, community, stakeholders and Government has been nothing short of sensational over the past 3 years , with feedback from around the country suggesting we really kicked a few positive goals for Aboriginal health. 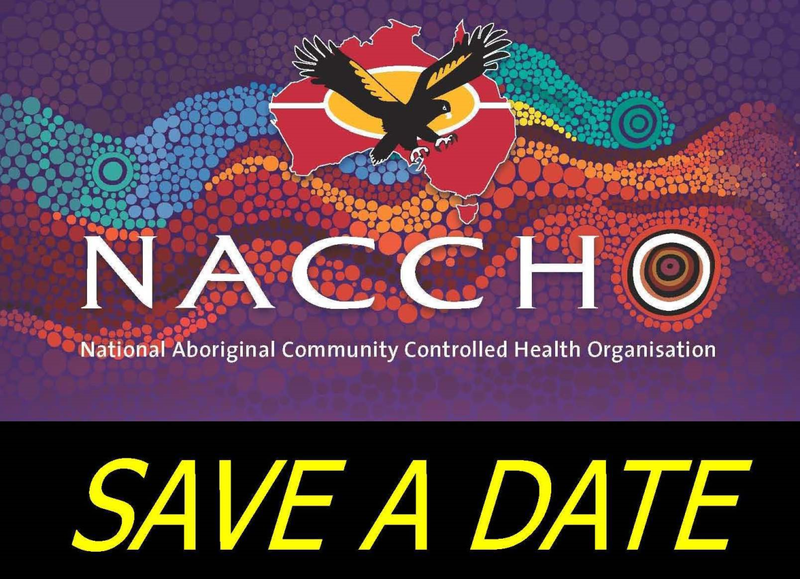 NACCHO is the national peak body for Aboriginal health. 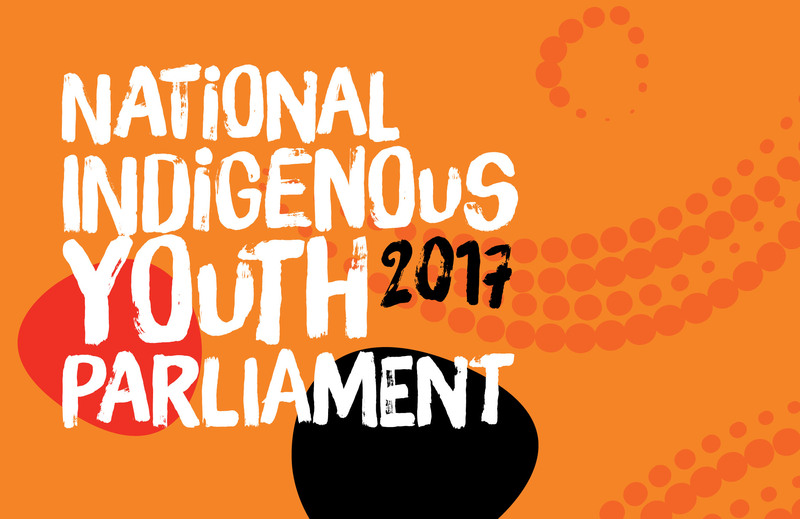 It is entrusted to represent the needs and interests of Aboriginal health on behalf of its members in the national arena. 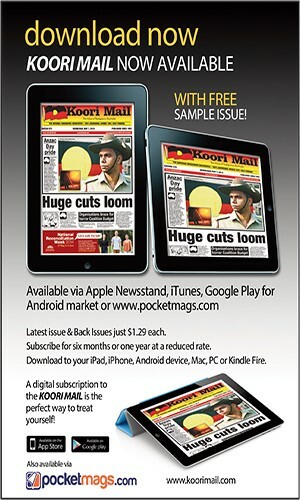 The Koori Mail is an Australian media institution, 100% owned and controlled by Aboriginal people. The fortnightly newspaper circulates all states and covers the issues that matter the most to black Australians. 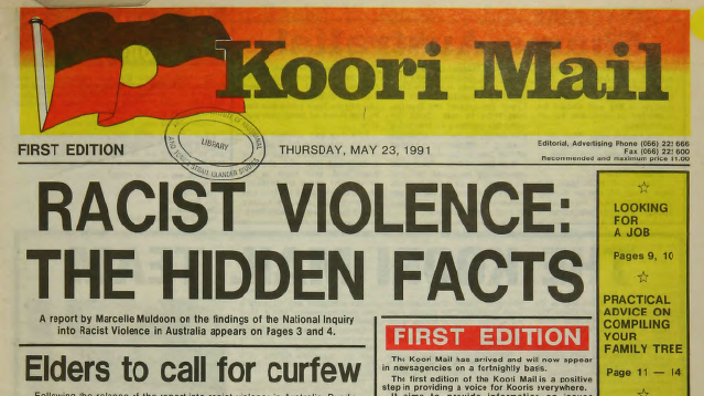 25 years since its first print, the Indigenous paper is still breaking ground for Indigenous journalism. This 24-page newspaper is produced and distributed as an insert in the Koori Mail, circulating 14,000 full-colour print copies nationally via newsagents and subscriptions. Our audited readership (Audit Bureau of Circulations) is 100,000 readers! Our target audience also includes over 1,500 NACCHO member and affiliate health organisations, relevant government departments, subsidiary indigenous health services and suppliers, as well as the end-users of Australian Indigenous health services nationally. Your advertising support means we can build this newspaper to a cost-neutral endeavour, thereby guaranteeing its future. Note: the earlier you book your ad or submit an article for consideration, the better placement we can offer in the printed newspaper. All prices are GST inclusive. 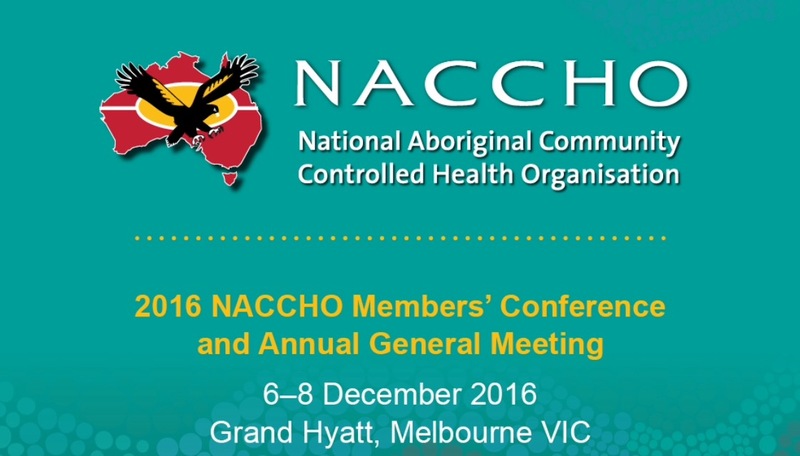 Discounts are available to not-for-profits, NACCHO member organisations and industry stakeholders. All prices include artwork if required. 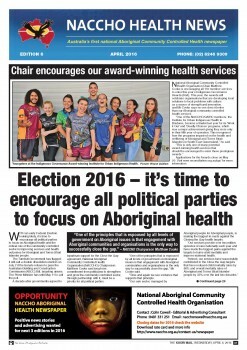 Download the April 6th Edition of the NACCHO Aboriginal Health Newspaper – click here!